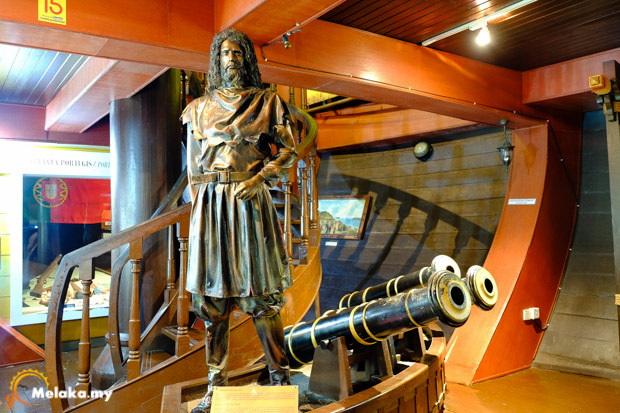 A restored Portuguese ship called Flora de la Mar makes for an impressive museum. Quite a bit of stairs to negotiate so be prepared for that. If you have kids please be extra careful because the steps are quite steep and the railing is not that much to hold small kid from going overboard. The interiors are air conditioned and provide a welcome respite from the heat outside. 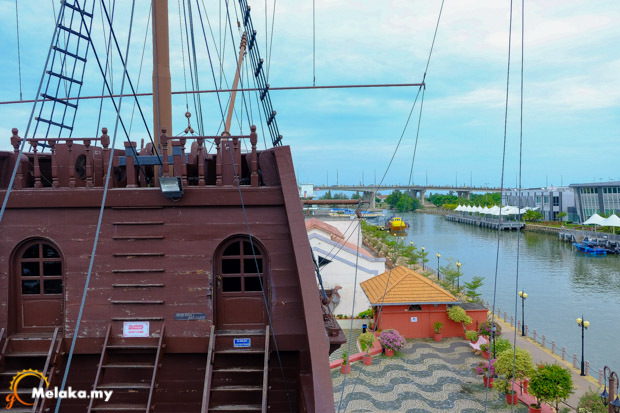 This is the museum to know about the trading history of Melaka. 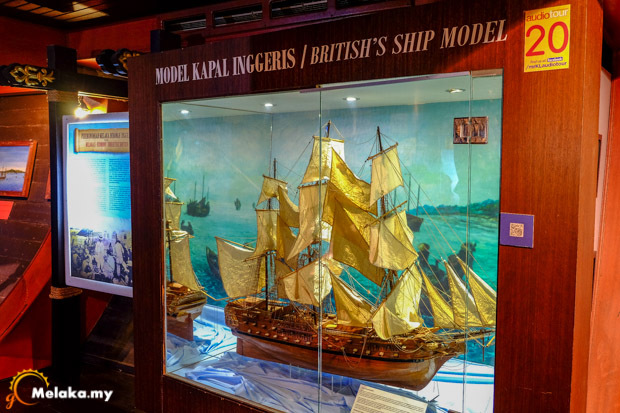 It is value for money as you are entitled to enter the Royal Navy Museum, Flora del Mar and the Maritime museum (three entries for the price of one ticket). 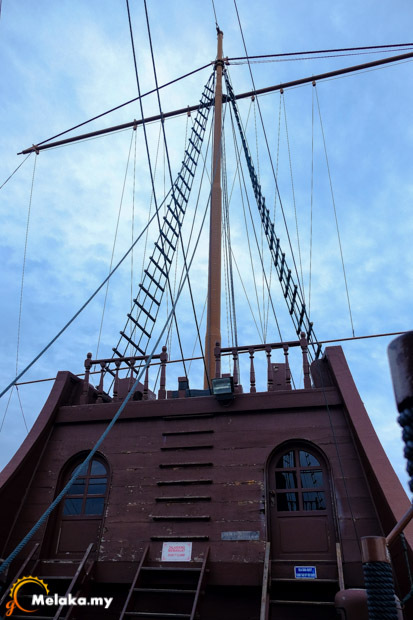 The ship is well-restored and contains an abundance of model ships from different time periods, as well as ancient currency. It makes for an educational visit. If you like to linger over the exhibits and information boards, you can definitely spend 2-3 hours all up. 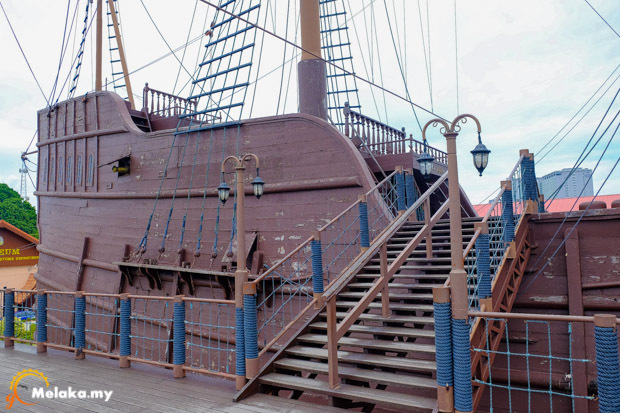 From the outside, this Portuguese ship museum looks nothing less than recovered history. A series of steps leads to the museum inside. The medium sized vessel is brown in color and resembles a desolate castle from the past. The interiors of the museum are a welcome retreat for the visitors as it has air condition facilities. 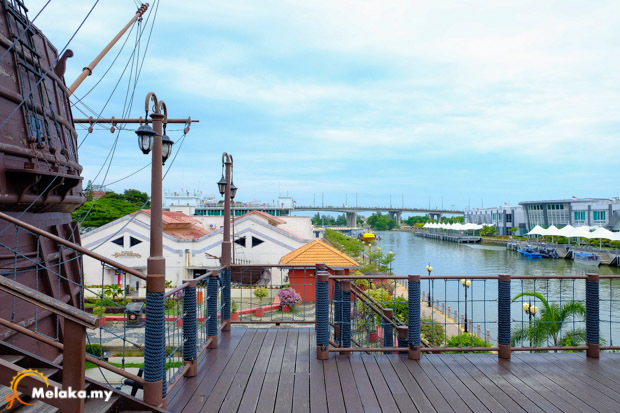 The blocks have artefacts from different eras mainly statues of traders and navigators. Ancient ships of small sizes are also at display to help literate the visitors. 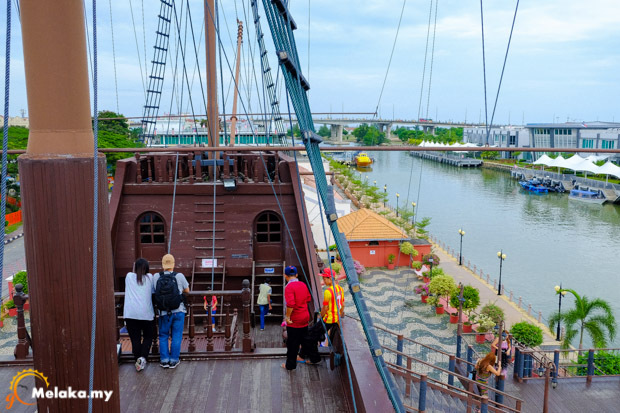 The wooden ship deck casts a great view of the river Melaka. The typical old style deck has Latin design on the railings. Steps are there for the curious visitors if they like a closer look at the tall vintage mast. 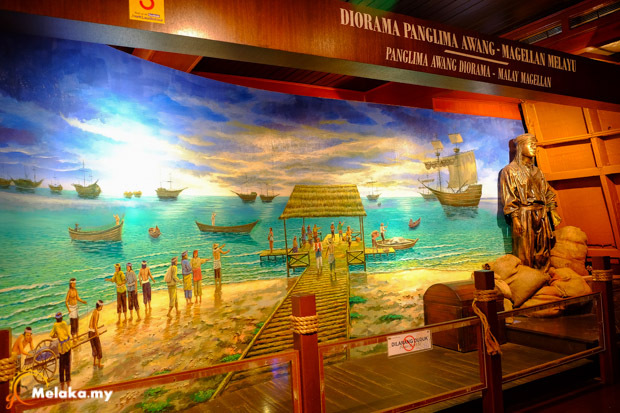 The museum provides audio facility that is charged at RM3 only for the tourists to guide them through it. This helps in educating the people and attracts their interest. 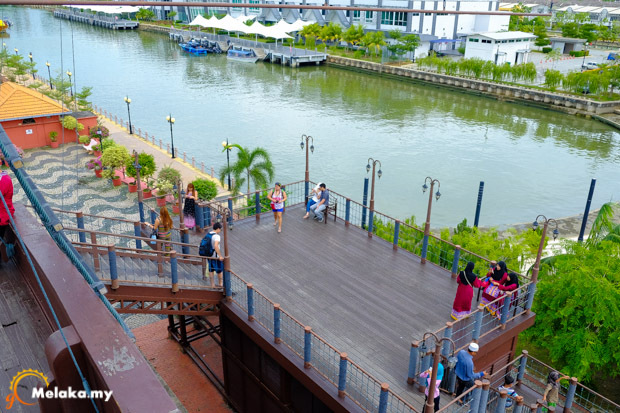 Kuching Awarded “World Craft City” Status by the World Crafts Council.